Viknesh Vijayenthiran September 14, 2017 Comment Now! 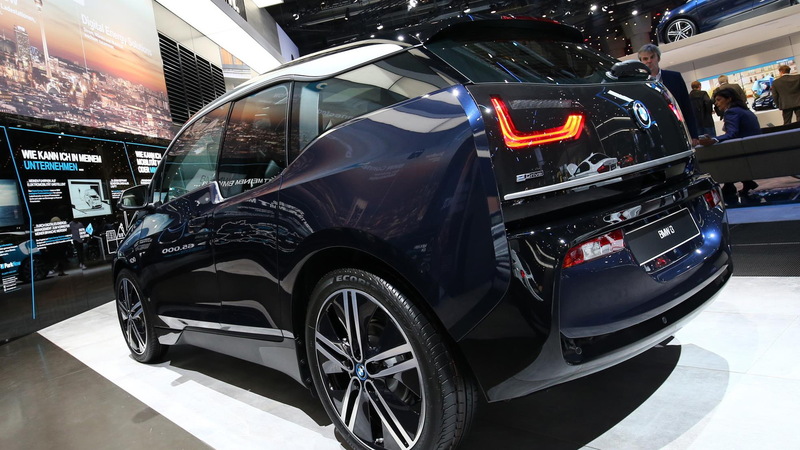 The i3 wasn’t the home run BMW had hoped when it launched the vehicle for 2014. As Tesla has shown with its Model S, electric car buyers in the premium segment aren’t looking for quirky, ordinary to drive vehicles with only enough range to cover a day’s commute. BMW gave the i3 a subtle update for 2017, including increasing range from 81 to 114 miles with a bigger battery. However, this was only a warm up for a more substantial update introduced for 2018. The 2018 i3 gets some massaged lines on the exterior, plus full LED headlights fitted as standard. Buyers also have a couple of extra exterior colors to choose from. Inside, there are some new trim options plus the latest version of BMW’s iDrive interface. Version 6.0 of iDrive is said to enable more intuitive commands for the infotainment, communications and navigation functions. The voice recognition system has also been optimized with cloud-based off-board processing of speech. The biggest change for the 2018 i3 range is the introduction of a sportier i3s model. In addition to a more aggressive look for the front and rear fascias, the i3s benefits from 10-millimeter lower sport-tuned suspension and a track that’s been widened by 40 millimeters. 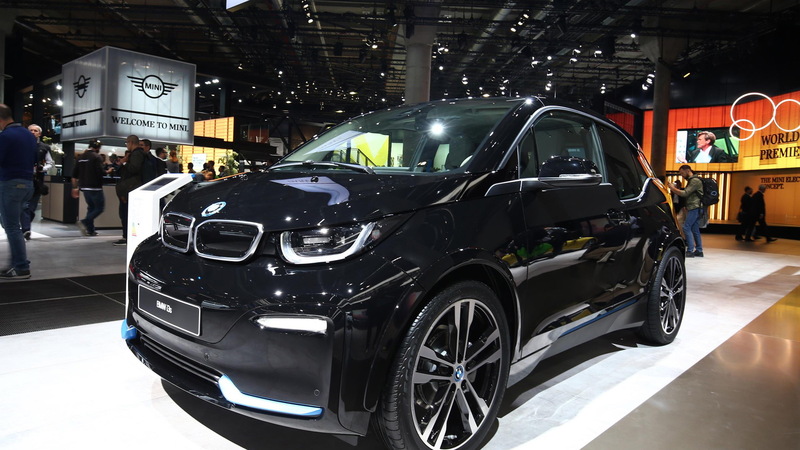 The result is a much sportier stance compared to the regular i3. Importantly, power has been dialed up. 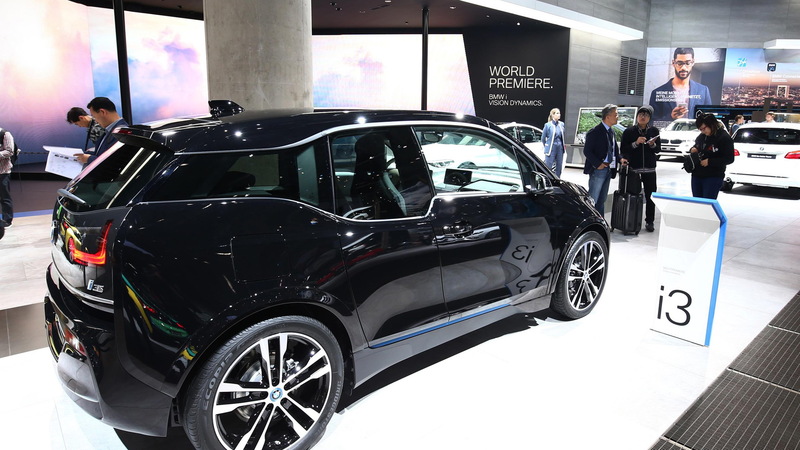 The rear-mounted electric motor of the i3s delivers 184 horsepower and 199 pound-feet of torque, up from the 170 hp and 184 lb-ft of the regular model. The engineers have also modified motor control and roller bearing settings of the i3s, which improves performance at the top end. According to BMW, at the limits of motor speed, there’s a 40 percent improvement in performance compared to the regular i3. The i3s also comes with a sport mode for the driving modes selector. This sharpens throttle response and tightens the steering. All in all, the modifications made to the i3s mean the vehicle needs 6.8 seconds to reach 60 mph, or 0.4 seconds less than the regular model. The top speed is 100 mph, up from 93 mph in the regular model. Since there’s been no change to the battery, the range likely matches the 2017 model’s EPA-rated 114 miles. Of course, driving the i3s in a spirited fashion will likely reduce this somewhat. We’d recommend adding the available 2-cylinder range extender which boosts range to 180 miles. Finally, it’s worth a mention of some of the electronic driver aids available on the 2018 i3 range. The list includes collision warning, pedestrian detection, and a self-parking system. There’s also the On-Street Parking Information system which helps you locate available parking spaces in many major U.S. cities. It uses historical and real-time data to determine the likelihood of finding vacant parking spots in a given area and displays this in the navigation. Public charging stations and information about their availability can also be displayed in the navigation. Speaking of charging, a $500 TurboCord charger is available that lets you charge from standard 120-volt outlets, as well as 3.6-kilowatt charging from 240-volt outlets. 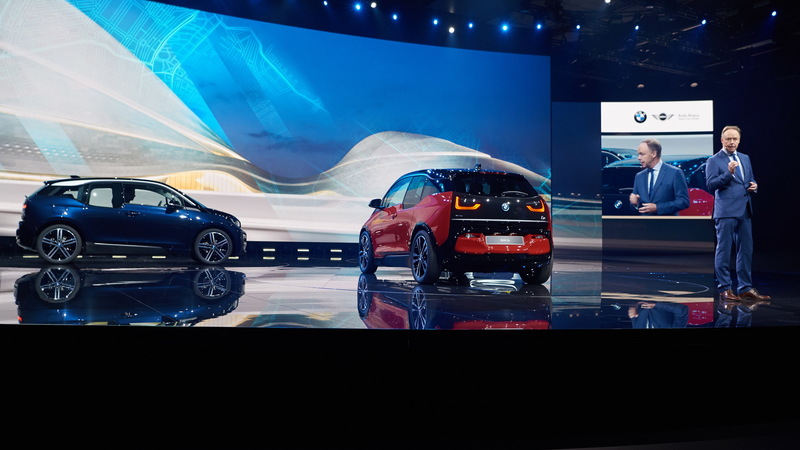 The 2018 i3 made its world debut on Tuesday at the 2017 Frankfurt Motor Show. 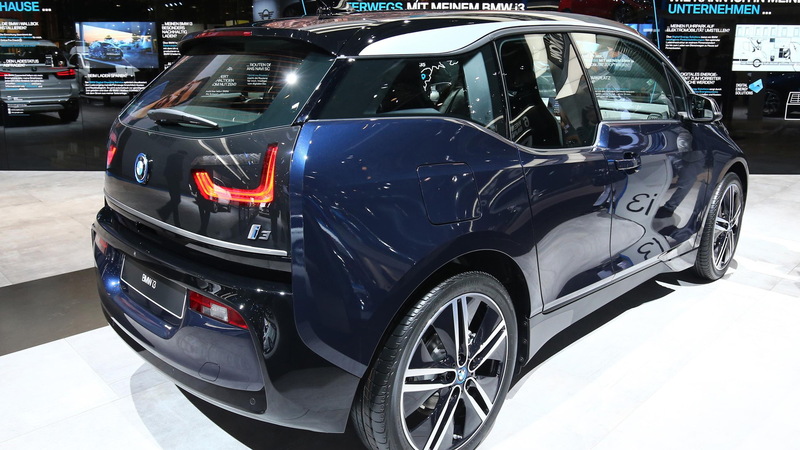 For more on the i3, read the in-depth reviews at The Car Connection.